Another 300 MW of sun power is on the way, and that means a lot of solar panels. The good news is, all of those panels will be made right here in San Antonio. Alamo 1, the first solar farm built as part of our 400-MW agreement with OCI Solar Power, relies on 167,000 panels to generate 45 MW of clean energy. Really… 167,000 panels. Alamo 2, a 4.5 MW farm located on the northeast side, uses 18,000. The latest, a 39 MW farm located in Brackettville, 124 miles west of San Antonio, relies on 150,000 panels. Four more farms will be built in San Antonio and around Texas over the next three years to complete the agreement. That’s a lot of silicon. The panels for the first three OCI Solar Power farms were produced by a foreign manufacturer before Mission Solar Energy set up shop here in San Antonio. The local headquarters and production facility is one of seven new energy companies that have relocated here as part of CPS Energy’s New Energy Economy initiative. Today, Mission Solar is the only solar panel manufacturing facility in Texas and the only n-type solar manufacturing facility in the country. The new 240,000 square foot facility at Brooks City Base (which will officially celebrate its opening on Monday) will manufacture panels exclusively for the remaining OCI Solar farms for the next three years. After that, Mission Solar will target residential and commercial markets. 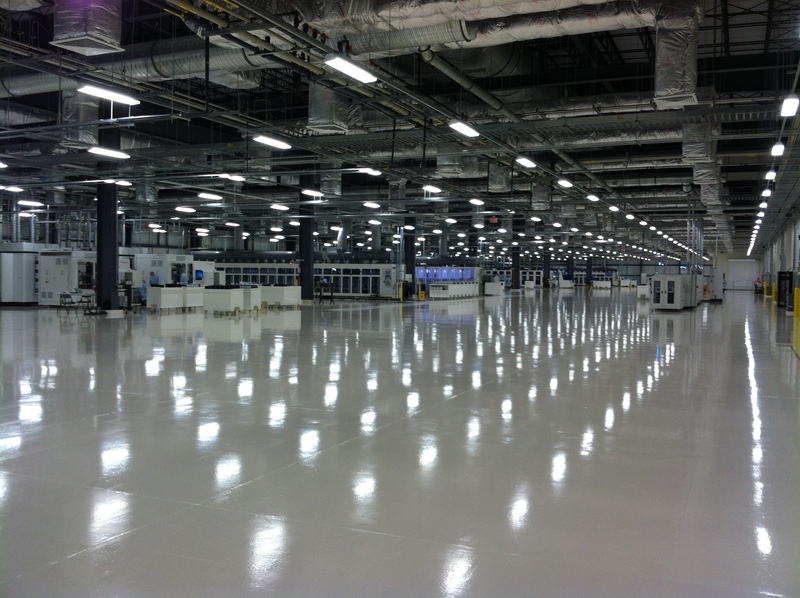 The Texas-sized factory has a 90,000 square foot “clean” cell manufacturing area. 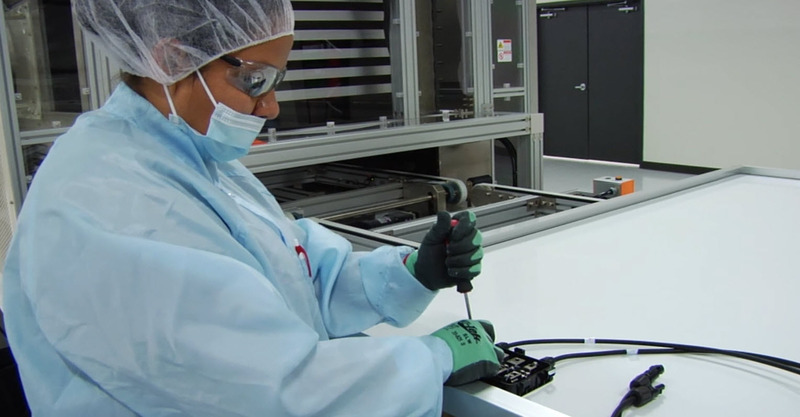 Employees wear lab coats and gloves, and operate multiple inspection stations, to make sure finished solar cells are high quality and offer maximum electrical generation. Each finished six-by-six inch cell becomes part of a 72-cell panel. The panels are capable of generating up to 325 watts of power each. “We currently run 50 panels an hour and will double that once when we’re in full production – all for OCI Solar through 2017,” says Kim. Mission Solar employees have a unique set of skills for the job. Mission Solar will soon produce modules 24 hours a day, seven days a week. The company will move from one to two lines next year, to produce up to 200 megawatts of manufactured solar power annually. A move to residential production in three years means panels made here may wind up on the homes of you and your neighbors someday. Yep, homegrown solar power – just like buying a Toyota Tundra made right here in San Antonio. Mission Solar will need as many as 400 employees for full operation. Already, more the 240, some trained through workforce training programs at the Alamo Colleges, are on board. Almost one out of every five employees are veterans – now working on land once dedicated to the missions of a former Air Force base.